We all want a green, lush garden, right? Unfortunately, water is not enough to promote the vigorous growth of grass because the quantity of nutrients in the soil is not nourishing enough. Once the grass has absorbed them all, it might quickly lose its shine. As such, you need the best lawn feed to get those extra nutrients and help your lawn stay green and inviting. But choosing the best grass feed involves some degree of research. You need to take into account a variety of factors and read various product reviews. Therefore, after explaining all the necessary things to consider, we’re reviewing some of the best products on the market so you can find the right fertiliser for your lawn. It’s important to read the fertiliser label very carefully, to see if the ingredients match your purpose, type of grass that grows on your lawn and its possible afflictions. The most common ingredients used in grass fertilisers are nitrogen, phosphorus and potassium. Nitrogen helps make the grass greener and grow stronger leaves. Phosphorus helps the roots grow stronger, which is why it’s really helpful for pre-stress conditioning. Potassium is already found in many soils, helping the grass stay healthy and resisting in cold weather. There are other nutrients your fertiliser might contain in smaller quantities, apart from these primary ones. Calcium is important in spring lawn feeds because it helps young roots and shoots develop. Magnesium helps the grass blades receive the proper intake of nutrients, so they become a darker green, but it’s also a great nutrient for seeds. If you want to get rid of weeds or moss on your lawn, you might consider a fertiliser which contains a weed-killing substance too. Besides, added water helps with the absorption of nutrients and at the same time protects your soil from scorching. The pH of your soil is an important factor to decide the proper composition of your lawn fertiliser because it will help you fight the specific nutrient deficiencies of your lawn. 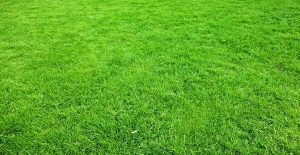 Another argument is that feeding your lawn with nutrients already found in the soil leads to excess nutrients, which might make the grass ill.
For instance, an alkaline soil needs a fertiliser that can fight iron deficiency. Potassium can be used on all soil types, phosphorus increases the soil acidity, while nitrogen can either increase or decrease the soil acidity – depending on the type of nitrogen used in the fertiliser. It’s important to apply the fertiliser correctly in order to get the best results. For cool-season grasses such as Perennial Rye and Tall Fescue, the best time to apply the fertiliser is early in spring and in autumn. Warm-season grasses require fertilising during spring and summer. You might also need to reapply the fertiliser on a regular basis to make sure you get the best results. If you have to use the fertiliser together with a separate weed killer, ensure that you follow the directions for both products. You should also take into account the difference between organic and synthetic fertilisers. Organic fertilisers come from natural sources like manure or crab meal and are broken apart by soil microbes. These fertilisers don’t have extra salts, so they don’t make the soil more acidic. Their main purpose is to help soil microbes do their job. Synthetic fertilisers are made in the lab from chemical compounds and help your lawn grass grow really fast. The downside is their big salt composition, which might damage plants and water sources if used incorrectly. Organic fertilisers, therefore, require more time to work, which is why you should apply them during autumn. Some fertilisers mix organic and synthetic ingredients, and these are great for springtime use. Some fertilisers are in liquid form, while others are sold in granular form. Granular fertilisers need to be dissolved in water and their application takes more preparation than soluble fertilisers. Another difference is that soluble ones are based on quick-release nitrogen formulas, so they make the grass grow faster. If you’re interested in how healthy and fertile your soil is on the long-term, granular fertilisers are better. Soluble fertilisers are a good solution for a quick boost during the active growth period of your lawn. This is an important factor especially for newbie gardeners – mixing and matching are not for everyone! Regardless of the type or form of your fertiliser, a high degree of preparation might make it really difficult for beginners. The instructions are equally important. Beginners can deal with extensive preparation, if the fertiliser comes with an informative, concise manual that covers all possibilities and clearly explains all the variables, like when you can apply it and how. Besides, a refillable container might also make your job a lot easier. Once you have checked all these issues off your list, you can select the best grass feed for your precise needs. Now all you have to do is read some lawn feed reviews to decide which product suits your lawn better. The EverGreen lawn feed is one of the best fertiliser and moss killer on the market, helping your grass become thicker and greener in a matter of days. However, if it’s raining or the conditions aren’t favourable, it might take longer to work. One significant advantage is its affordable price and generous surface covered by one 14-kg bag. And even if it’s not an expensive product, the quality is still pretty good, especially for helping your lawn grow. That’s because the EverGreen feed uses a formula of nitrogen and potassium, which are valuable nutrients for the grass and help your grass grow stronger roots. However, this formula may not be as great for destroying weeds. Although the package states it kills dandelions, white clover, plantains and moss, other weeds might benefit from the nutrients offered by this formula. Apart from the potassium-nitrogen mixture, the Watersmart formula used is a real help when it comes to protecting your lawn from heat and draught, thanks to an increased hydration. Besides, the box is refillable for handheld spreaders, which is another advantage. On the other hand, the instructions could be better, especially when it comes to application. 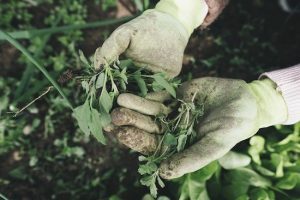 Newbie gardeners might make some mistakes, like applying this fertiliser after they’ve mowed their lawn or when the grass isn’t in top shape. After all, that’s why you’re applying a fertiliser, right? To improve the shape of your lawn. Unfortunately, doing this might actually burn your grass. This GardenersDream is one of the best fertiliser to use in autumn/ winter when you’re doing pre-stress conditioning. The cold season might weaken the roots of your lawn, which is why you need to make sure they’re strong. This fertiliser, with its potassium and phosphate formula, makes sure your lawn gets all the important nutrients, strengthening its roots. However, take into account the instructions regarding when you can fertilise your lawn with this product: soon before winter arrives. Applying this in spring or summer might actually burn your lawn because it hardens the soil, with the purpose of making it more resistant against the harshness of winter. Other tips for correct application include using it on dry foliage and irrigating your lawn afterwards. You also shouldn’t use it in windy conditions. Another advantage is that a 25 kg bag can cover a generous surface, getting you fast results and proving that the GardenersDream fertiliser is great for large lawns and amenity/ sports fields. So people who don’t like mowing their lawn – beware! The last good news about this product is that it doesn’t have a negative effect on your pets. But that’s just because it doesn’t contain any weed control chemicals so, while it will definitely make your lawn look lush, it won’t kill any weeds in your garden. This EverGreen fertiliser is one of the best fertiliser for grass that’s constantly trampled by small feet or paws. 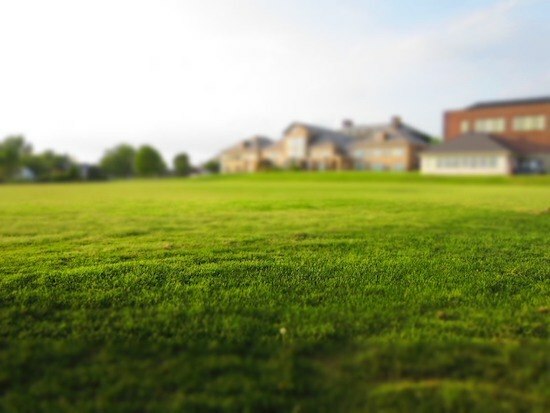 Its purpose is to rejuvenate your grass, helping the lawn recover in just under a day, which is why it’s great for high-traffic lawns or homes with children and pets. One of its advantages is that the fertiliser is ready to use – you just have to attach the hose, turn on the water and spray your lawn evenly. However, you shouldn’t apply it on wet grass because that dilutes it and decreases the effect. On the other hand, the effect of luscious, thick grass wears off in about a month, so you’ll need to reapply this fertiliser again soon. Keep in mind though that you’ll have to wait about 8 weeks to plant new grass seeds, so using this fertiliser is definitely tricky if you want to sow grass seeds. The bottle has 1 litre that covers about 100 m², so it will take a little over 10 minutes to fertilise your lawn. The bottle isn’t refillable, though it’s recyclable. Still, the main advantage is that this fertiliser is safe for pets and children, but you can only let them back on the lawn once it’s dry again. According to the manufacturer, this is suitable to be used in spring. However, you can apply it anytime from April to September and, in fact, it’s actually recommended to reapply the fertiliser every month for optimum results. But if your lawn is in poor condition, you need to apply the Miracle-Gro twice each month. After the first application, your neighbours will notice that the grass is greener on your side after about 5 days to a week. Its formula uses a mix of water and nutrients, so you can feed and water your lawn at the same time. But the capital advantage of this formula is that nutrients dissolved in water will decrease the chances of scorching – essential for the warm spring and summer months. It’s also easy to use this lawn feeder, but you have to water your lawn first. You can use it in a watering can or get the Miracle-Gro Feeder and attach it to your pipe. The best thing about this is that you don’t have to mix or measure anything, so even a complete beginner to gardening can do it. This 2-kg box can cover up to 400 m², which is almost twice as much as other products on the market. However, it doesn’t contain weed-killing chemicals, which might be a disadvantage for people who would prefer a 2in1 formula. 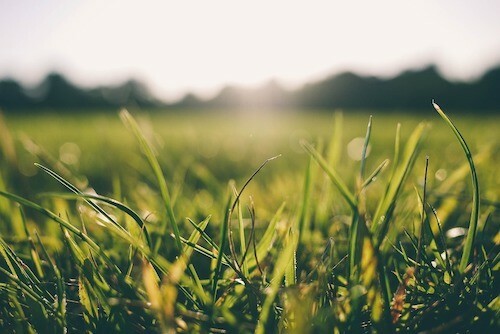 Like all plants, grass needs its nutrients to develop beautifully. Nitrogen, potassium and phosphorus are the key ingredients that will make your lawn thrive, contributing to a leafy, strong growth. Keep in mind the other factors discussed here when choosing the best lawn fertiliser for your needs, and you’ll have a luscious-looking garden in no time! That said, which grass fertiliser will you get? What have you tried so far that worked and what didn’t?